Internet Utilities - FTP, HTTP, EMAIL, Telnet, P2P, etc. 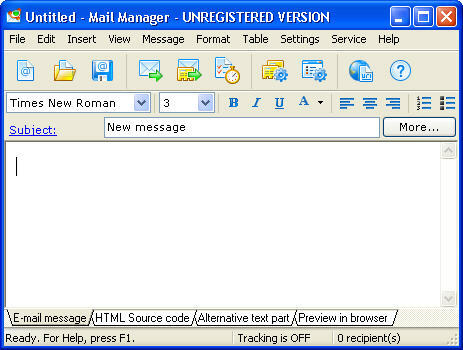 JOC Email Checker - The software allows you to work with Outlook 2007 as if it were Outlook 2003. All the new features in Microsoft Outlook 2007 have been added into the Main Menu, the Standard Toolbar and Formatting Toolbar. AdWords and Keywords 2.00 - It's a powerful adwords and keywords analyzer for affiliate marketers or anyone who advertises on Google or Overture. Search Maker Pro - Search Maker Pro can create a search engine for any web site. That is to say create a single html file that is a fully featured search engine for your website or CD/DVD. CyberScrub Privacy Suite -Completely eliminate sensitive data from your computer and protect your computer and Internet privacy.You can easily remove all evidence of your online activity by selecting the Privacy Guard. Private InfoKeeper 2.8 - Personal information storage. You can store, organize, access and effectively use your data in secure manner. All your private data are kept in a personal storage, protected by master password. WinFtp Server 1.6.8 - A multithreaded FTP server that handles all basic FTP commands and offers easy account management and support for virtual directories. Spy Noose 2.3 - It detects all the installed spywares, adwares, dialers, keyloggers, web bugs and other malwares present in your system and cleans them permanently. Privacy Inspector 1.8 - A very secure and powerful privacy protection tool that can protect your privacy by cleaning up all computer activity tracks. DeltaSpy 1.7 - A web page monitoring software that keeps an eye on websites selected by you, notifying you only when there is something new to see. RFC Reader - RFC Reader is create tree-like index. You can click the index and jump to the chapters which you want. FileCOPA FTP Server 2.02 - A powerful and flexible FTP Server that supports passive FTP connections, advance passive FTP router configuration, anonymous FTP, and more. My FTP 1.3.2 - Transfer files to and from your server, and enable you to change directories on both local and remote system. Desktop Emailer Professional 2.0 - It is an affordable mailing list management software that allows you to send out high volume, highly personalized text or HTML email messages with unlimited attachments. FollowUp Secretary 12172006 - It was developed to manage emails sent to contacts in conjunction with scheduled sales or contact meetings. Up to five template letters can be managed. DynAdvance Notifier 1.1 - Check all your Hotmail, Gmail, Yahoo, POP3 or IMAP accounts for new email, and automatically logs into your accounts if you want to view your email! Business Letter Professional 2007 - Help you write business letter with 1,000 templates, and enable you to edit, copy, paste, search, preview and save your letters. NewsBin Pro 5.34 - NewsBin Pro downloads files from Usenet Newsgroups. It automatically combines complicated multi-part binary posts to create one file and includes many options for organizing your downloaded files. Business Letter Professional 2006 V5.2 - Help you write business letter with 1,000 templates, and enable you to edit, copy, paste, search, preview and save your letters. FlashGet 1.71 - FlashGet can automatically split files into sections or splits, and download each split simultaneously. GetRight 5.2 - Extends your file downloading with resuming of broken downloads, easy error recovery, download acceleration, etc. Offline Explorer 4.0 - an offline browser that allows you to download an unlimited number of your favorite Web and FTP sites for later offline viewing, editing or browsing. DynAdvance Notifier 1.1 - Check all your Hotmail, Gmail, Yahoo, POP3 or IMAP accounts for new email, and automatically logs into your accounts if you want to view your email. Advanced Email Verifier 5.05 - Verify and validate your email addresses to keep them up-to-date without troubling others. Atomic Mail Verifier 3.33 - Verifies every e-mail address from a selected database or mailing list to keep them up-to-date. AceFTP Pro 3.70.3 - Allow the user to transfer files between his computer (client) and servers found in any network, including the Internet. AutoFTP Premium 4.5 - Automate your file transfer procedures between your computer and FTP servers, comes with a flexible scheduler. Core FTP Pro 1.3 - Update and maintain your website via FTP, provide a secure method (via SSL, TLS, or SFTP) to upload / download files to and from FTP servers. 123 Flash Chat Server 5.0 - Allow you to organize chat-events, collaborative work sessions or online meetings, providing high-performance and rock solid stability. Chat Watch Professional 2.0 - Log instant messages on today's most popular messaging programs, and can be saved to the local computer, to a SQL Server database, or to ChatWatch.NET service. PopMessenger 1.61 - A LAN-based instant messaging system allowing for immediate rich text message and files delivery over corporate network. Easy File Sharing Web Server 2.7 - A file sharing software that allows visitors to upload, download files easily through a Web Browser (IE, Mozilla, Netscape etc.). NetServe Web Server 1.0.43 - Host your website on your own computer and give you a wealth of tools that allows you to Upload and Download from your computer remotely. AD Killer 1.20 - Identify possible ads and remove them even before you can see them with a smart engine, block ad sites, removes banners, flash and image ads. Popup Purger Pro 3.1 - An intelligent popup blocker for Internet Explorer and MSN Explorer that can block annoying popup/under ads before they even open. Super Popup Blocker 4.3 - Automatically stop all of the pop-up windows, kill annoying unsolicited pop-up windows, even those unsolicited pop-up windows. Privacy Guardian 4.0 - Protect your privacy by ensuring all traces of your online Internet and computer activities are permanently erased and unrecoverable on your PC. ChildWebGuardian 2.6 - Keep track and check the content of every web-page the child browses, and if finds obscene content, it will immediately block viewing such pages. NetConceal Anonymizer 2.93.24 - Hide your real IP address, location, your ISP etc, by redirecting all of your network activity through Proxy Servers. CCProxy v6.3 - Install CCProxy on the server which can access Internet directly and the other PC clients can connect to the Internet through the proxy software. SmartProxyHelper 1.5 - A proxy searching, checking, management and assignment tool that improves the browsing and downloading speed from servers and hides and eliminates your net trace. Fictional Telnet Daemon 4.4 - Give Telnet users full access to Windows NT command line, and accept any Telnet connection from any client right out of the box. iOpus Internet Macros v5.00 beta - iOpus Internet Macros can made your web surfing more enjoyable by recording your web surfing once and excute repetitious tasks automatically. IERescuer 1.2 - Restore as many as web pages, including users' data, frames, last toolbar positions, size settings, buttons, HTTPS connections and so on. KidSplorer 4.2.6 - A web browser that can prevent your children from visiting inappropriate sites, let you control over what sites to allow and what sites to block. Mail Access Monitor for Kerio MailServer 3.2 - Report which employees most heavily send and receive e-mails, and what data transfer volume they generate by online. SoftAmbulance for Outlook Express Recover 1.21 - An utility for recovering e-mail messages from the corrupted folders of Outlook Express, stores messages in files with the DBX extension. CommFort 2.20 - Combine all attributes of the best network communication utility that supports client-server chat with voice. East Tec DisposeSecure 2006 - Remove all data from hard drives or disk partitions before return of leased assets or computer disposal. iOpus File Downloader 3.01 - Integrate well with batch files, windows scripts, visual basic or the windows task scheduler to download web page. Instant Message Grabber 2.3 - Automatically record and index AOL Instant Messages, and conversations can be saw by Screen Name and date/time. PopupDummy 3.29 - This popup killer provides real-time protection from popups, adware, spyware, and web browser hijackers. MSN Chat Monitor and Sniffer 3.5.2 - A handy network-control utility for capture and observe MSN chat conversations on all computers in network. Advertising Cleaner 2.0 - Automatically block unwanted pop up windows before they open and remove advertisements from web pages. WebCloner Pro Offline Browser 2.5 - A site ripper, images and Flash downloader, offline browser, and e-book compiler with advanced configuration options.